Are you thinking of creating your own online store and can’t imagine building it yourself? Would you like it to work out-of-the-box, right away? If so, then you want to look at hosted eCommerce. A turnkey solution where all the shopping cart tools come pre-installed and are ready for you to use immediately. “Hosted eCommerce shopping carts enable you to build an eCommerce store without you having to be technical at all!” If you get stuck, there are dedicated support teams to help. Brick and mortar store clerks can help people shopping in their store to decide what to buy, but in the online world, it’s completely different. Visitors want to see great design paired with amazing products, easy-to-read fonts, and the list goes on. Why? 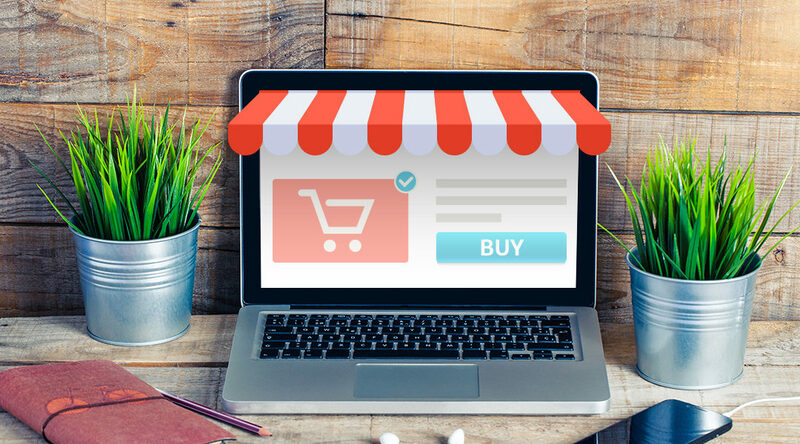 Because online is the equivalent of self-serve so you need to keep it easy on the eyes, yet convince customers they need that item, all while keeping it simple enough for potential customers to maneuver all the way through to the checkout. Simple Layout focusing more on product photos and details without any ads. This is your store, own it. Let your customer see your product from every angle. Pictures can sell a product. Feature New Arrivals – this helps loyal customers find the newest collections immediately, without having to browse through items they’ve probably already bought. The About Page – Tell your customers your story. Why you decided to have your own business, what influenced your work and how many years you have been in business. This is your page; you earned it so feel free to brag a little. Social Media and Share Buttons – These are so important in today’s eCommerce world because everyone loves to share pictures and links. Make sure you provide them the option. It will bring more potential customers to your web store. Promo or Coupon Codes – Having the ability to create a promo or coupon code and sharing it on your home page or checkout page is a plus! You can use this to drive traffic in other ways by sharing it on your social media channels or in an e-mail campaign. Shopping Cart Integration – What companies can you integrated with? Are they reputable online carts? Remember one thing – if you won’t put your credit card number in a webpage that is not a secure page neither will your customers. Search Engine Optimization – The ability to be noticed! An opportunity for your website to show up on search pages when a potential customer types a keyword into a search engine. Get in front of your customers when they are looking for you. Reporting Features – This will depend on what you need for your business. Can your provider give you reporting on your seller fees from each channel or whether or not you had a shipping loss or profit? You will also need to keep track of all your tax-exempt sales. Whatever you’re looking for, make sure you sit down and make a list before comparing companies. Once you have found you fit, sit back and have fun watching the sales come in.